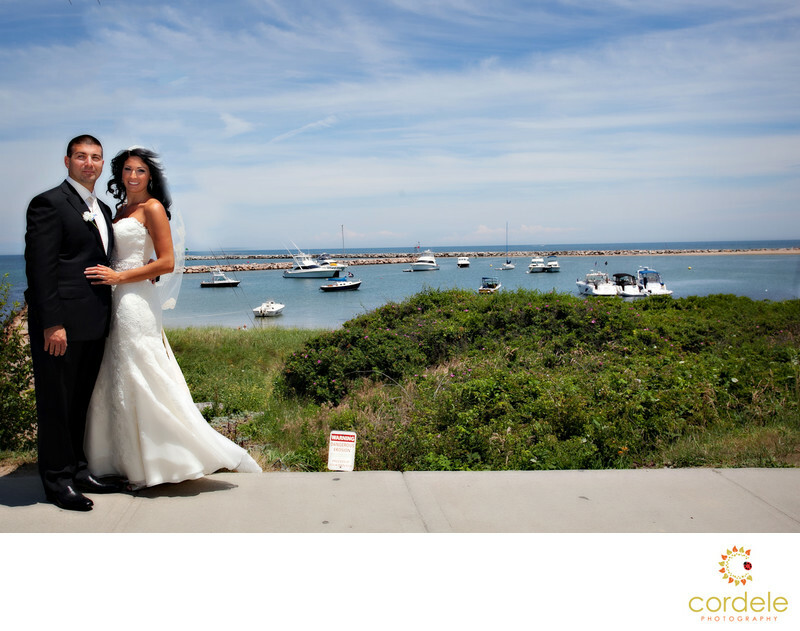 A bride and groom stand over the harbor for a photo on Block Island before their wedding. The hardest thing about wedding photography on an Island is people want to get married outside. That's great, except on bright sunny days when you have to really try and overpower the sun in a photo like this. This type of photo shows you the difference between an immature and a pro. Being able to balance the blue sky and light up the bride and groom to try and over power the sun, is hard work. Most people would just turn them away from the sun, and hit them with direct flash. I love the photo as it shows you the landscape of Block Island and the green lush shorelines.